We’re thrilled to announce the release of MadCap Central (Beta), a powerful cloud-based content management solution for technical writers and content developers. Extend the authoring capabilities of MadCap Flare with a powerful platform for content, task and project management, hosting, build automation and more – all from a single, centralized location. Note: MadCap Central is now in public beta, offering full functionally free of charge for an extended period of time. All content hosted during the beta testing will be available post-beta, should you decide to purchase a subscription. 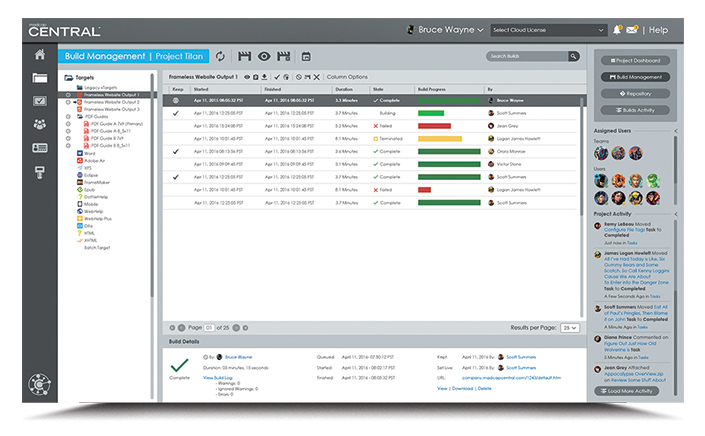 With a variety of project management tools, source control, and content hosting features, MadCap Central makes it easier than ever to manage projects and content. Gain better visibility and insight into build schedules, milestones and deliverables, all from a single, centralized location. 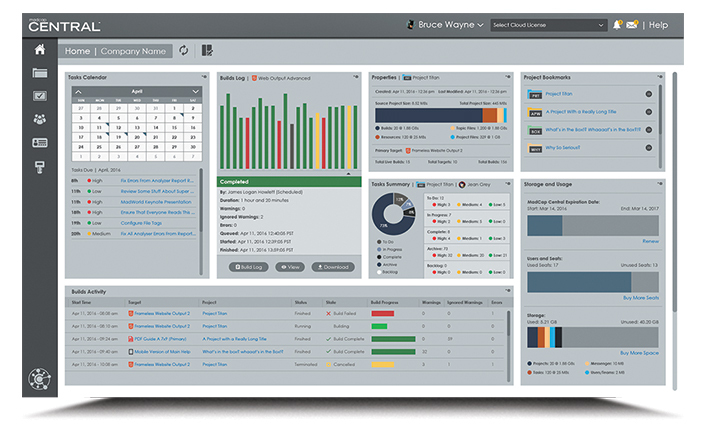 Build management is quick and easy with MadCap Central. With the Build Management interface, you can schedule builds, manually generate builds, and view builds, all from Central. Set builds to “Live” for easy hosting, or streamline the review process by marketing builds as “Keep” for further review. Need a way to assign tasks and visualize your project work flow? MadCap Central features tasks, which let you assign tasks to team members, keep track of work that needs to be completed, and help visualize workflows. 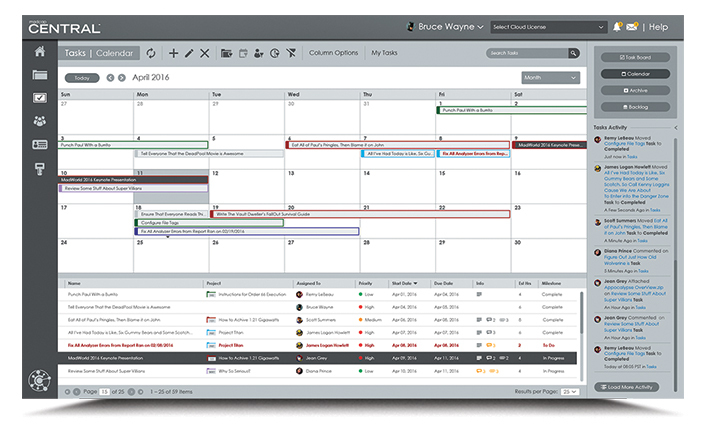 Tasks can be displayed in either a task board or calendar view. All tasks can further be broken down into five categories namely: To Do, In Progress, Complete, Archived, and Backlog. User management is one of the key features of MadCap Central, especially useful for organizations that have multiple writers and teams touching on a project. Administrators can add, manage, and delete users to join the MadCap Central license. Use the Teams interface to organize users into groups/teams. In addition, user permissions can be set globally for all projects or separately for individual projects. 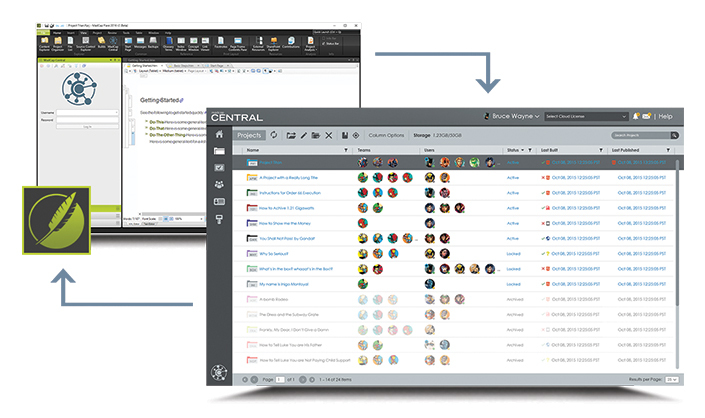 MadCap Central makes it easy to collaborate across multiple users and teams. Associate users with projects and quickly communicate with a specific set of users through the integrated Message Center and/or email. Customize your home and project dashboard with widgets – objects that let you see important information at a glance – for quick and easy access to tasks, build history, cloud storage usage, project properties and more. Click here to get more information on the beta release of MadCap Central! Don’t Miss This Upcoming Webinar! MadCap Central is a new cloud-based content management platform for content developers. With MadCap Central, you can improve content quality, gain greater insight into tasks and production schedules, work collaboratively with teams and departments, and automate processes to further extend the authoring and publishing capabilities of MadCap Flare. To coincide with the release of MadCap Central comes a new update to MadCap Flare, combining powerful desktop authoring with a cloud-based content management environment. Join Jennifer Morse, Product Evangelist, for a live webinar presentation covering the exciting new features and benefits of MadCap Central, along with the updates and integration added to MadCap Flare. You can get started with MadCap Central now with a free, fully functional extended period beta. MadCap Flare 2016 r2 (required for MadCap Central) adds new features and enhancements along with seamless integration with the MadCap Central. Our award-winning technical support team is available to answer any questions by phone or email as you evaluate. Additionally, we can schedule a private demo to provide a hands-on overview, as well as discuss translation and localization best practices for your organization. 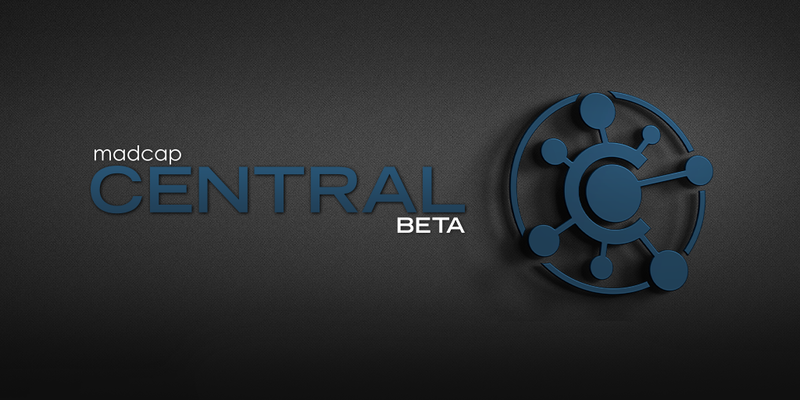 We hope you enjoy the beta release of MadCap Central! Feel free to email me at jmorse@madcapsoftware.com for any questions.